Re-roofs in Crewe should only be done by qualified, experienced professionals. A professional roofer can inspect your roof and help determine whether you need a re-roof or a complete roof replacement. A re-roof is when new shingles are layered on top of existing shingles. If your roof is in a good condition, and has no major water damage or missing shingles, a re-roof is a cost effective way of repairing your roof. We all know just how important a sound roof is, and as they are constantly exposed to poor weather and wind, it is vital that they are regularly inspected and maintained to ensure their longevity. 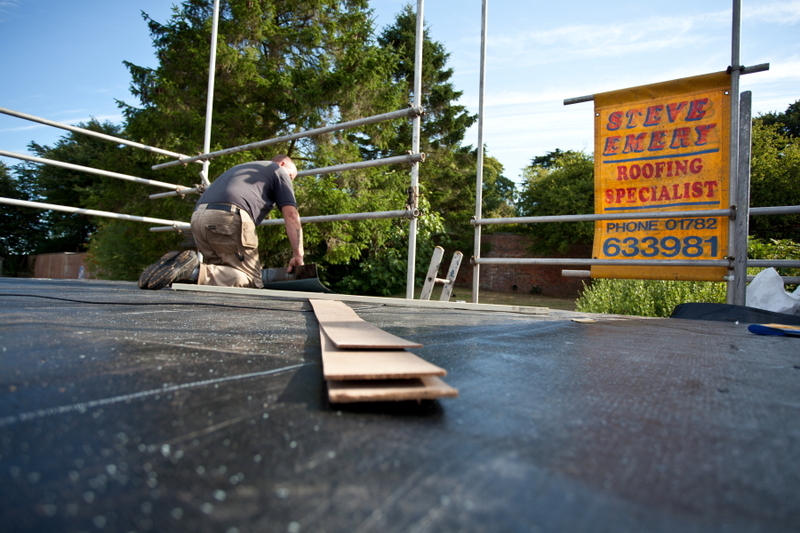 If you need assistance with a roofing project, why not give Steve Emery Roofing Specialists a call? 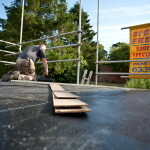 For your property in Crewe, re-roofs are expertly completed by our hard working team. Our expert team is highly trained, and experienced in repairing and installing many different types of roofs. If you are looking to have a re-roof, you cannot go wrong with Steve Emery Roofing specialists. We offer free estimates, and the high quality work we provide is all completed by our own team. All the materials required for the roofing project comply with current BSI specifications, which we provide to ensure an excellent finish. We are pleased to say that you will receive excellent value for money, and that we provide 10, 20 and 25 year guarantees on different products. Re-roofs in Crewe include tiles, slate and other materials that are independently sourced by our team. For more information about how we can assist you with re-roofs, don’t hesitate to contact Steve Emery Roofing Specialists today. We believe that our roofing services tick all the right boxes, and with an enviable reputation for efficiency, quality and price that meets and exceeds the expectations of our customers, we are confident you will be pleased with the re-roof service we provide. Our dedication to all our roofing projects and can-do attitude has guaranteed our position as the ‘number one’ roofing specialist in the area.